Buy this book at Usborne Books and More or in local bookstores. 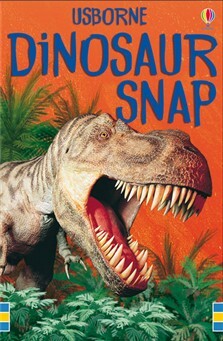 Dinosaur Snap provides a new theme to this much-loved children's card game. Children will learn the names of all the dinosaurs as they match them up in this easy and fun game. These large, colourful cards make a great gift for young children. I think it is superb because it teaches me while I play. You can play matching pairs with them as well.